همانطور که می دانید فیجت ها یک نوع اسباب بازی هستند که جنبه های درمانی داشته و توسط متخصیص روانشناسی نیز توصیه شده است. در کل فیجت به ابزار هایی گفته می شود که استرس و اضطراب ناشی از مشکلات زندگی و انرژی های منفی اضافی درون بدن را کاهش داده و تمرکز اعصاب و آرامش به شخص می بخشد. Material: Made With Premium Materials For Longer Life Span. 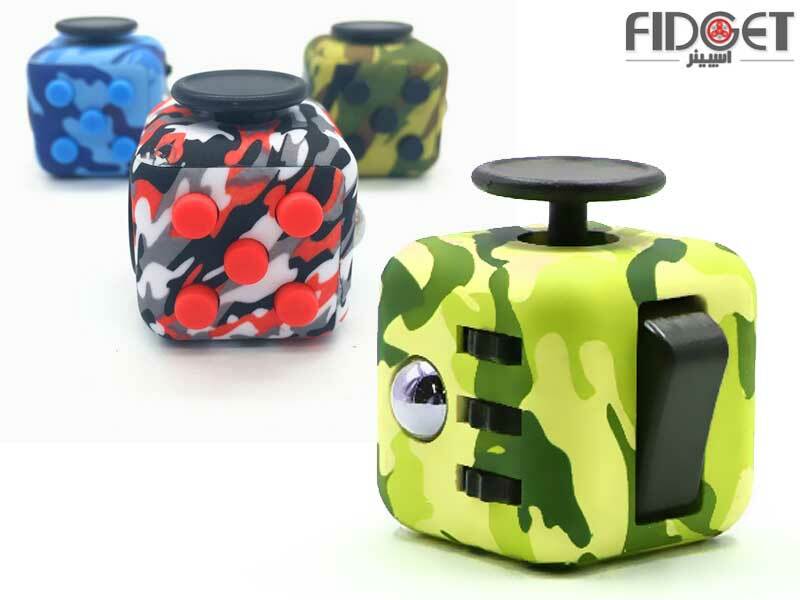 Silicone non-slippery finish for better grip and premium quality fidgeting cube. Weight:70g. Size: 33 x 33 x 33 mm. It relieves stress, anxiety, depression, keeps you busy and helps to focus. Six colors for you to select, make fun of it. Searching for a circular fidget? Take this dial for a spin. 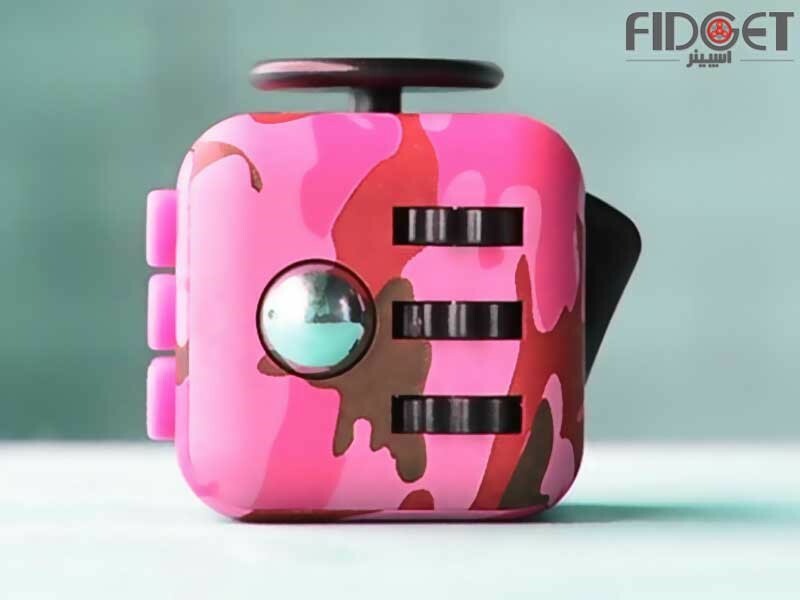 The fidget cube has five CLICK buttons, three of them have the sound, but the other two don’t which are in the lower left and top right corner and can be pressed. 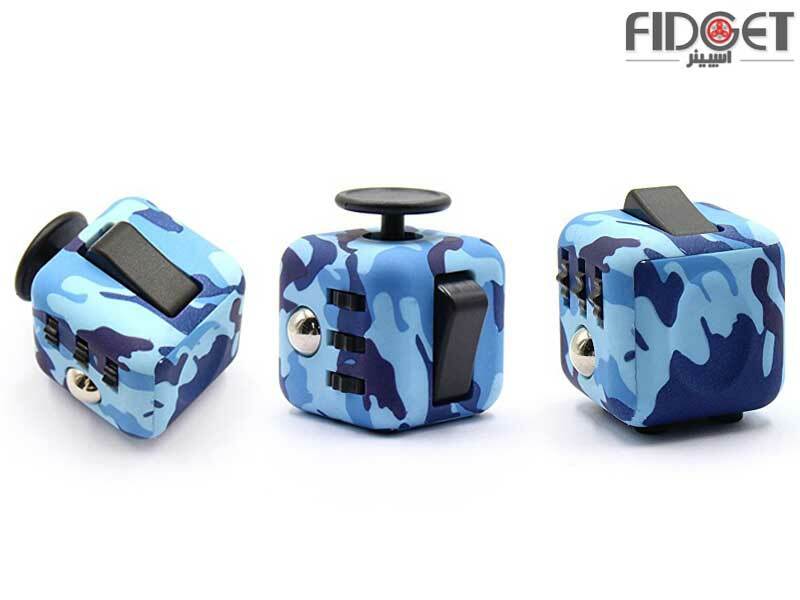 If you have this little thing, you’ll be able to easy yourself with the 5 buttons and never need a pen again. Pivot this switch from side to side gently in case you are looking to fidget silently,or quickly for a more audible click. Say goodbye to stress. The design of this face is inspired by traditional worry stones,tools used to reduce anxiety when rubbed. The gears and ball on this side are all about rolling movements. Say goodbye to stress. 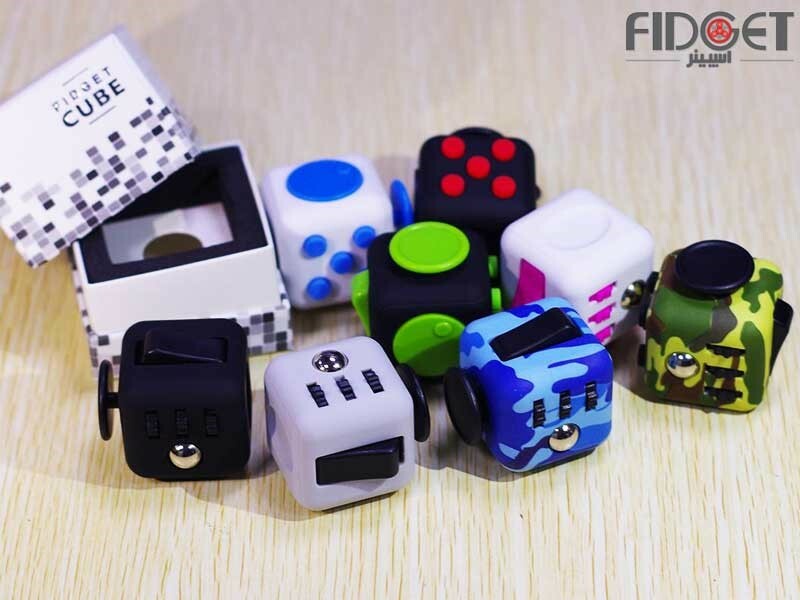 Do I Actually need Fidget Cube? Actually wonderful item to release your body and moods, make you focus on your work. It’s a great idea for a gift to some friend who can’t keep their fingers still. Keep yourself entertained anywhere! Perfect toy for those who wish to keep their hands busy. 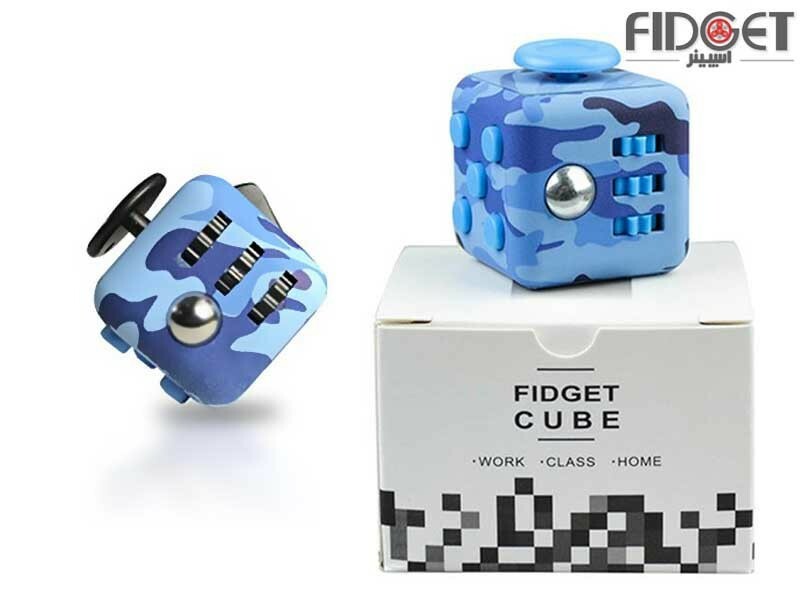 Perfect gift for those who like to fidget. 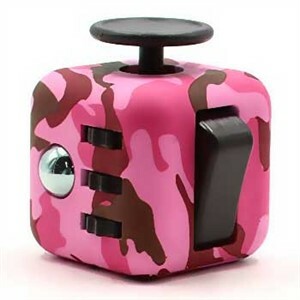 Satirically, this toy helps you Focus! Prime quality, light weight, waterproof.Stress Relief,Anxiety Widget. 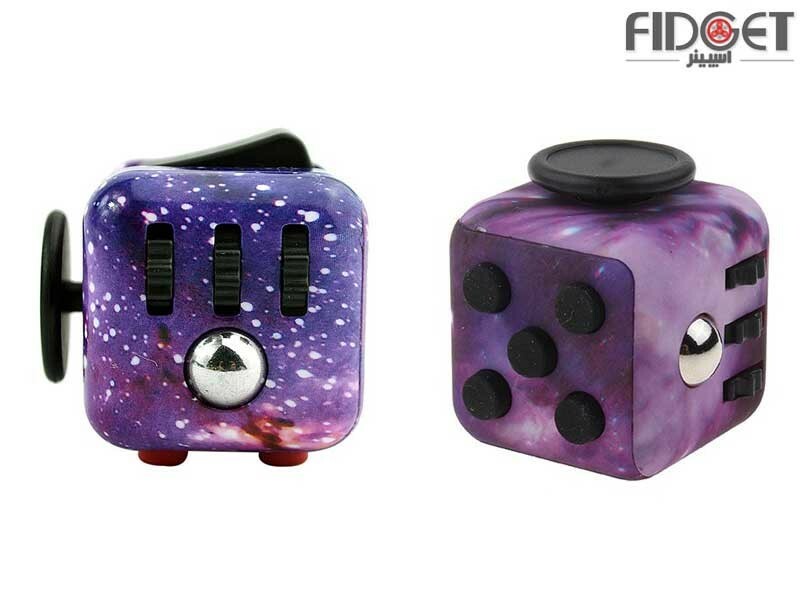 Six sides with different uses, you’ll be able to Roll it, Spin it, Click it, Flip it, watch your stress melt away! 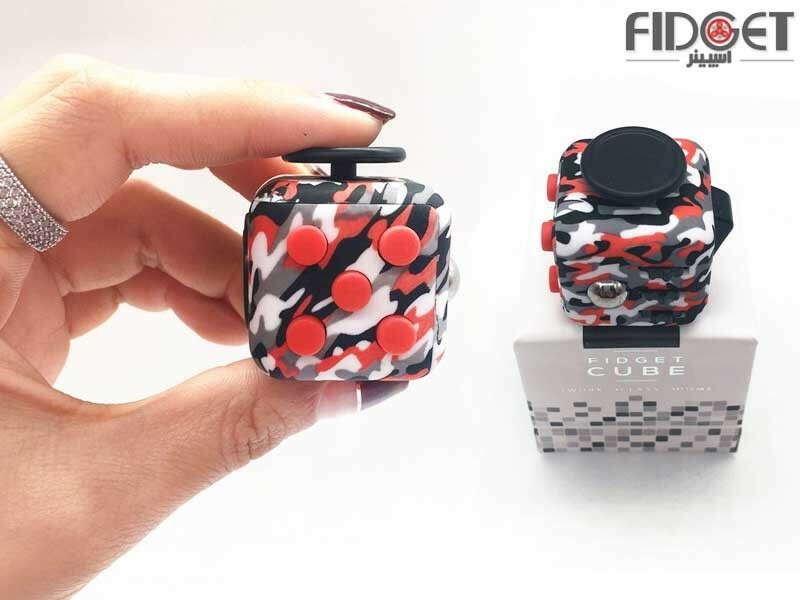 Fidget cube for Child: desk toy designed, and great for kid’s as well.